Have you ever tried to find just-the-right accent for a fresh or silk arrangement of flowers or greens, and simply not known what to add? 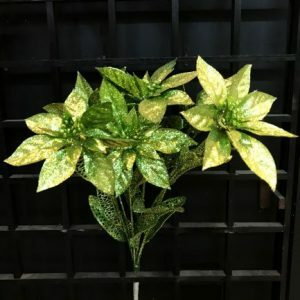 This Silver Poinsettia Branch is the item in your crafting closet or holiday storage that will elevate the display into something special. 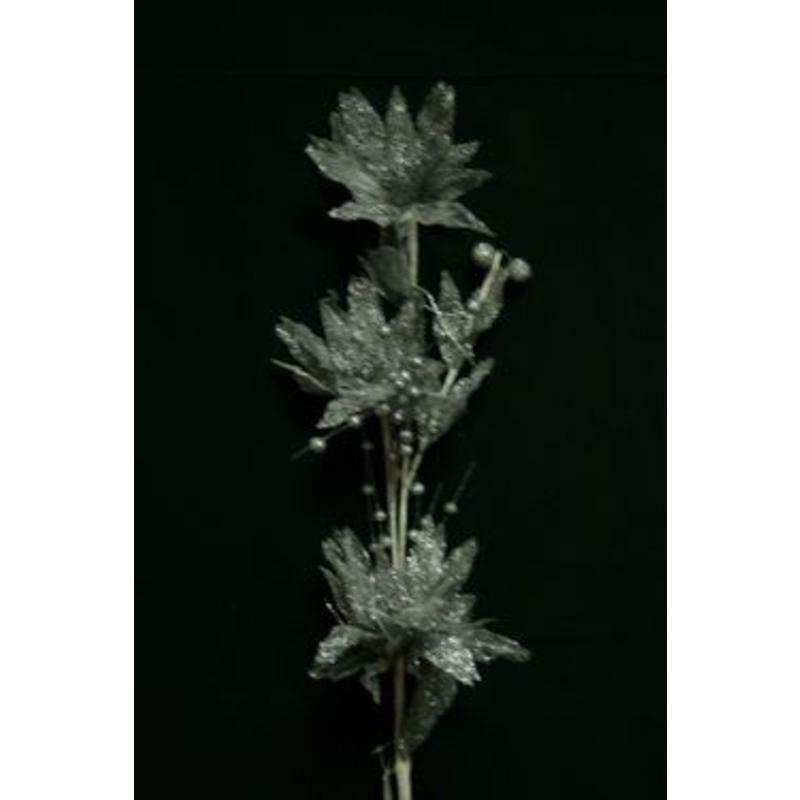 These bendable wired stems measure approximately 10cm wide by 110cm in height. 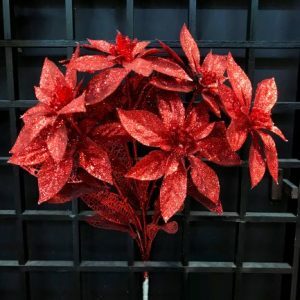 They feature everyone’s favourite Christmas flower- the Poinsettia. 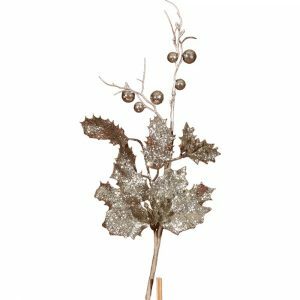 There are silvery leaves and tiny berries, all coated in a rich, bejewelled silver glitter. 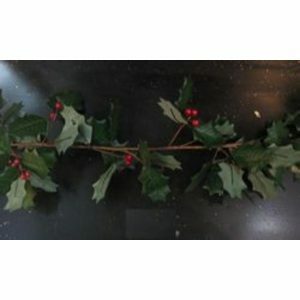 These would be stunning if you tucked them in around the boughs of your holiday tree. In the illumination of the lights, these will sparkle and gleam. These can be bent and shaped to suit your project, and the lengthy stem gives you versatility to modify the length if you choose. Be sure to keep a couple on hand for unanticipated decorating projects, and you won’t be disappointed!